Tires. How long do they last? That question goes around and around when it comes to RVs. Typically they run out of time before you rack up enough mileage to wear them down enough for replacement. Well, unless you are one of the lucky folks that can stay on the road all year long! Different tire manufacturers suggest various times for replacement. Going past that amount of time could have a catastrophic effect. Or....nothing could happen. Is there any way to extend the life of your tires and keep them in better shape during their lifetime? The answer is YES! Several in fact. Don't Forget To Convert WEEKS To Month! All tires have a date code stamped on them. Federal law requires it. That code will let you know when your tires were manufactured. Well, at least the month and year. We won't quibble about 30 days plus or minus....The picture/diagram on the left tells you how to read them. I get nervous when I reach 5 years..at 7 I am sure that one or more will fail! On my RV I only have 4 tires, so if one goes...it could be very bad! So what can we do to ensure they last at least as long as the manufacturer says they will? Well, the most important thing is to keep them inflated properly. I use a TPMS system AND periodically check the pressures manually, just in case. Usually before each trip. After inflation problems, the biggest enemy of tires is the Sun. The best insurance against UV radiation is to keep your tires covered with a UV opaque material. Most RV tire covers will stop 100% of harmful UV. They aren't all that expensive and they are easy to put on. 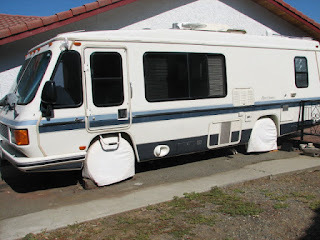 Even if you don't cover your entire RV, tire covers are a good idea. They will also keep a good bit of rain and dirt from getting to your tires and can prevent premature dry-rotting and damage. So, why not use them? If you live in REALLY sunny areas, these are critical!! You should put them, on any time you have the opportunity to do so. As always, my philosophy is, "better safe than sorry." If it's an easy thing to do, Why not? I just purchased new tires last year, and I'd like to get as much use from them as possible. Your Mileage May Vary. I start cover them because my last Michelin start cracking on the side with the tread morte than haft still good. Now I install my cover as soon it is park for a while. Excellent idea...saves you lots of grief later on! 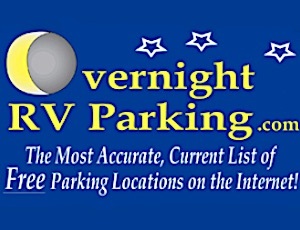 Depending on how your RV is situated, reflected light can make it underneath, however most tire covers will shade the back of the tire as well. Do you think products hurt or help tires,eg.armour all,tire dressing products? Any UV protector will help combat the effects of UV radiation on rubber, however they are not all created equal. Some tire shine products will actually break down the surface rubber. Read labels carefully! You can never go wrong with a good set of tire covers!